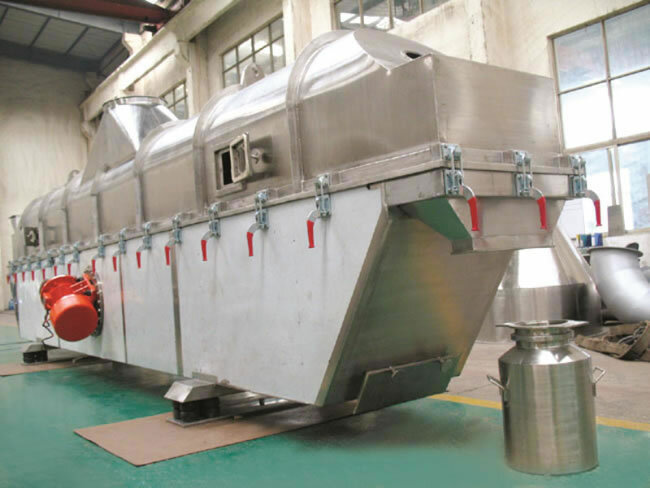 The fluidized bed drying machine is a highly versatile dryer which is used to dry granules, crystalline and coarse powders, and similar materials for the pharmaceutical, chemical, food, dyestuff and related industries. Operation is quite simple. Raw materials are fed into the fluid bed dryer. Then they move forward continuously while being vibrated and hot air passes through the fluidized-bed to affect heat exchange with the moist raw material. Then the damp air is evacuated through a cyclone separator and duster, and the dry raw material is discharged through the discharge outlet. 1. Products for the pharmaceutical and chemical industries: all kinds of pressed tablet and granule products, boric acid, borax, dihydroxybenzene, malic acid, maleic acid, and so on. 2. For foodstuff and construction material industries: lees, monosodium glutamate, edible sugar, edible salt, mine residue, bean, seeds, etc. 3. 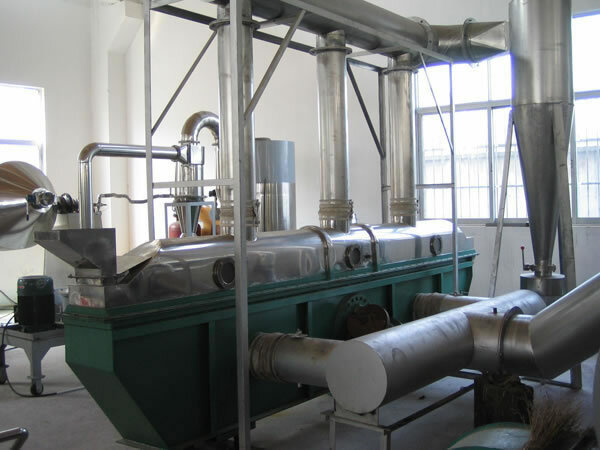 The fluidized bed drying machine also can be used for raw materials to add up damp or cooling and so on. 1. In the fluidized bed drying machine, raw material is heated evenly, heat exchange is fully accomplished, and drying capacity is high. Compared with ordinary driers, the energy saved is approximately 30%. 3. The fluidized state is stable with no dead angle phenomenon. 4. The drying machine is well regulated and has wide application. 5. It causes little damage to the surface of the raw material, so the drying equipment can be used for drying raw materials that are easy broken. The drying effect is not affected even if the raw materials have anomalous shape. 6. 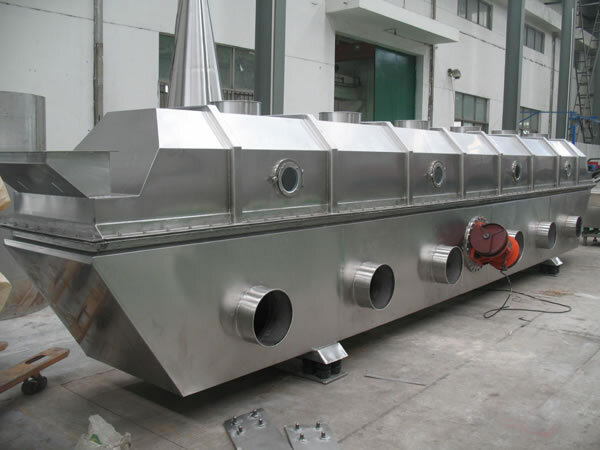 The fluidized bed drying machine prevents pollution of the raw material from outside air, because the equipment uses a fully closed structure. 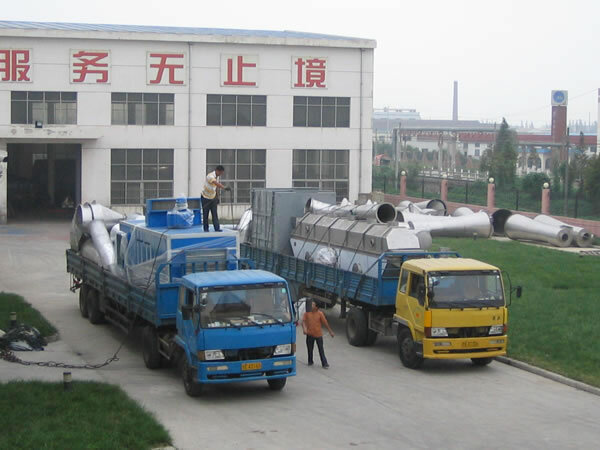 Our company is a key fluidized bed drying machine manufacturer in China. We offer fluidizing drying equipment, a vacuum harrow drying machine, food flavor granulating drying machine, a circle vibrate sieve, etc.